Upcoming Projects in Atlanta, Buy Before It's Too Late - GibsonBreen & Co.
UPCOMING PROJECTS IN ATLANTA, BUY YOUR HOME OR INVEST BEFORE YOU’RE PRICED OUT. One mile west of the Westrock property is another game-changer and this one is big! The official ground-breaking of the 270-acre Westside Park at Bellwood Quarry took place on 9/06/18. 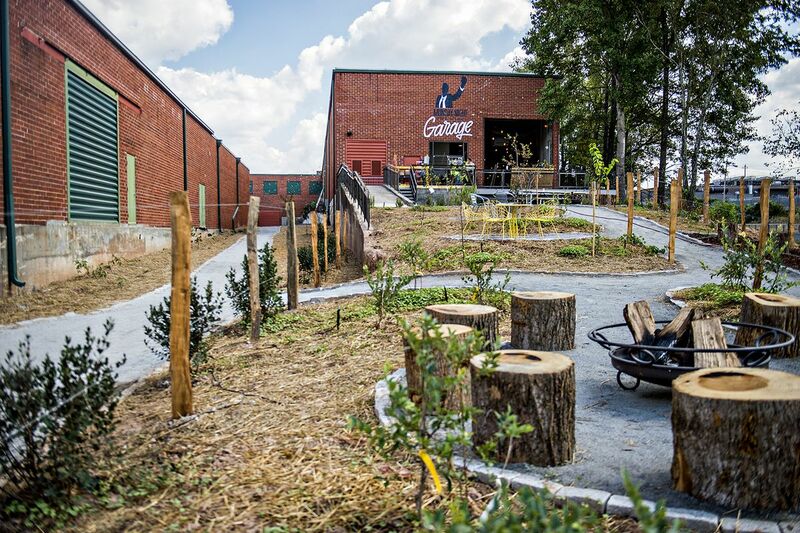 This transformative greenspace project has the potential to change west Atlanta in a profound way. The park boundaries roughly consist of Marietta Boulevard to the east; Donald Lee Hollowell Parkway to the south; Hollywood Boulevard to the west and Johnson Road to the north. Four neighborhoods surround Westside Park at Bellwood Quarry including Bankhead, Grove Park, West Highlands and Knight Park / Howell Station. For some geographic perspective, the north entrance to the park is about three miles from Midtown and one mile from the new Star Provisions on Ellsworth Industrial Boulevard. The southern entrance is a few blocks north of the Bankhead MARTA station. It is important to note that Proctor Creek and the Proctor Creek Greenway run through the western side of the park as it flows north and west toward the Chattahoochee. The Atlanta Beltline corridor runs along Marietta Boulevard just east of the property. The park lies within Subarea 9 of the Beltline master planning area. Formerly known as Westside Reservoir Park, this parcel of land was identified as potential greenspace by Alexander Garvin in his seminal Emerald Necklace Study (see Page 116). Once complete, the $300 million project will serve two purposes. The 270-acre green space will become Atlanta’s largest city park (100 acres larger than Piedmont Park). It will also increase the city’s water supply from 3 to 5 days to an estimated 30 to 90 days. This will be accomplished by converting the 100-year old granite quarry, which was purchased by the City of Atlanta from Vulcan Materials in 2006, into a 2.4-billion-gallon water (non-recreational) reservoir. The water will be piped in via a five-mile tunnel that will connect the quarry to the Chattahoochee River via the Hemphill Water Treatment Plant. The water supply project is scheduled for completion by September 2019 and the quarry should be filled with water in 2020. ​According to city officials, the park will be opened in phases. Phase I (the western portion of the park) is expected to open in 2020. My understanding is that the first entrance will be from Johnson Road near the community of West Highlands. ​Just one mile northwest of South Downtown is a 16-acre park re-development project that will impact the neighborhoods of Vine City. 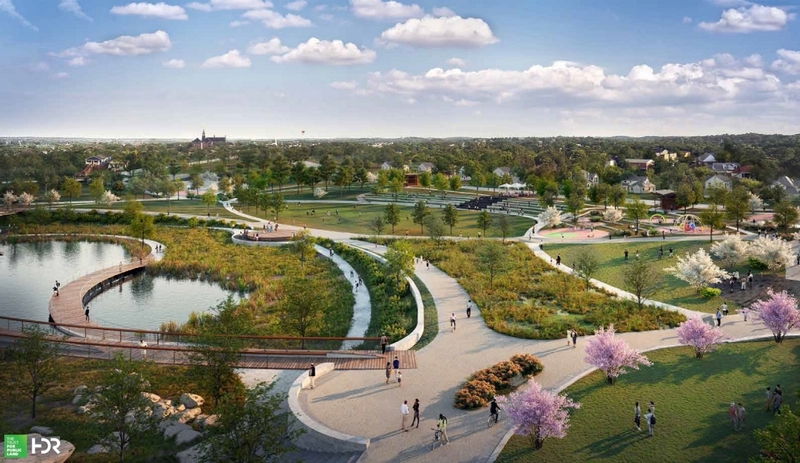 Modeled after the recent successes of Atlanta’s Historic Fourth Ward Park, the engineering / architecture / environmental services firm of HDR was hired to lead the design of Rodney Cook Sr. Park. This transformative project represents a collaborative design effort between The Trust for Public Land, the City of Atlanta Department of Parks and Recreation, the City of Atlanta Department of Watershed Management, The National Monuments Foundation and the community. The park – which is boarded by Joseph E. Boone Boulevard, Walnut Street, Spencer, Street, Thurmond Street and Elm Street – has been designed to alleviate the flooding by capturing and storing up to 10-million gallons of stormwater, while creating a vibrant community destination and ultimately revitalizing the neighborhood. Rodney Cook Park should do for Proctor Creek what Historic Fourth Ward Park did for Clear Creek. ​ Vine City will soon be connected to the Mercedes-Benz Stadium + Home Depot Backyard complex by a brand new pedestrian bridge that traverses Northside Drive. The neighborhoods of Vine City and English Avenue are also being impacted (to the west) by the opening of the Westside Trail (Sept 2017) and the acquisition of the Kudzu Line (Aug 2018). To the east, these neighborhoods are being affected by the development boom taking place in West Midtown and along the Marietta Street artery as well as on the Georgia Tech campus. Speaking of the Beltline, the neighborhoods of English Avenue and Vine City were recently added (as Beltline neighborhoods) to Subarea 10as part of the work that is being done to update that master plan. ​ (*) On 9/26/18, the Atlanta City Council’s Finance Committee voted to delay action on a proposal to condemn six parcels of land needed to build the park as originally envisioned. It is also possible that the name of this park will be changed before it is opened. Two miles north and slightly west of Rodney Cook Park is a 55-acre site called, “Elsas West,” that went on the market in February 2018. The site is currently occupied by Mead/Westvaco, an affiliate of WestRock — an Atlanta-based supplier of corrugated packaging. Apparently, the property has historic ties to the Atlanta Paper Company (originally called, Elsas May & Company) which at one time created packaging for The Coca Cola Company. In terms of future development potential, this site is intriguing for at least three reasons. The first is its sheer size. The current facility is a 900,000-square-foot manufacturing plant and distribution center, which will cease operations later this year. 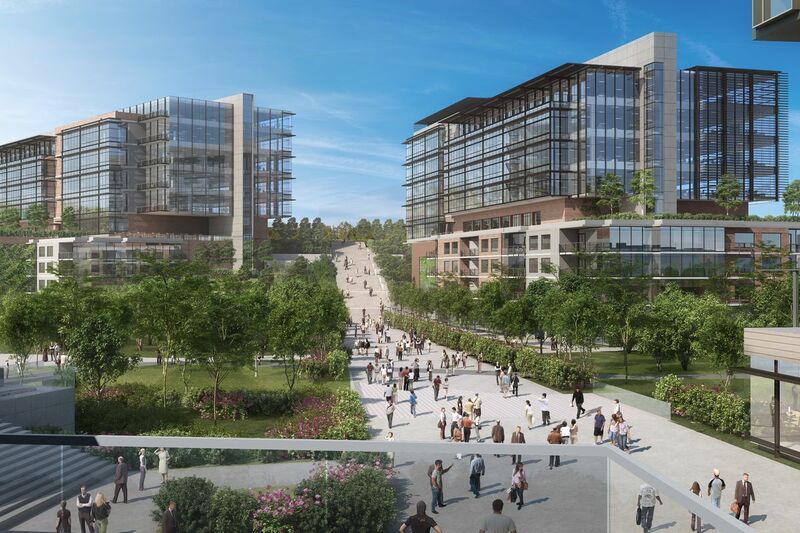 According to this article in the Atlanta Business Chronicle, the property can accommodate an additional 2 million square feet of new development. That’s about the size of Ponce City Market, which sits on 16 acres. ​ The site is also interesting because of its strategic location at the intersection of West Marietta Street and Joseph E. Lowery Boulevard. This is across the street from the King Plow Arts Center and just over a mile from the north entrance to Westside Park at Bellwood Quarry. According to the ABC article, the site is also close to a massive (QTS) data center (on Jefferson Street) making it potentially attractive to other technology companies. 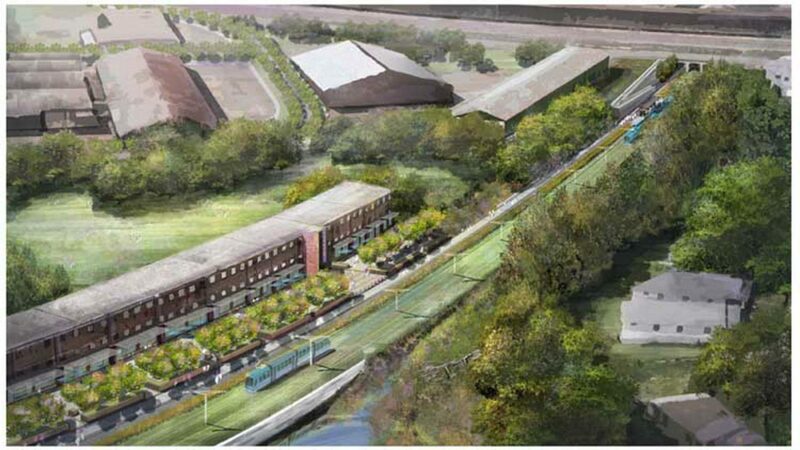 ​ The wild card here (something else that was mentioned in the ABC article) is that the Atlanta Beltline (multi-use trail and/or transit) might end up going right next to this property. In recent years, the prevailing wisdom has been that Beltline trail and transit would likely follow Marietta Boulevard north to Elaine Avenue (just north of Huff Road) and then head east toward the Hemphill water facility. Reviewing the Subarea 9 Master Plan Map reveals that there are (as the Beltline spokesperson said) multiple alignment options shown, several of which go near the WestRock property. All of this is to say that this site is worth keep an eye on! ​Quarry Yards, named after the Bellwood Quarry, is a 70-acre master planned, mixed-use development by Urban Creek Partners. It is also adjacent and just northwest of the Bankhead MARTA station. The trailhead of the new Proctor Creek Greenway is located on the property and the first ¼ mile or so of the trail runs through the heart of the project. The Atlanta Beltline corridor runs along Marietta Boulevard just east of the property. Quarry Yards is in Subarea 10 of the Beltline master planning area. ​ Phase 1 of the development is being planned now and will occupy about 27 of the 70 acres and expected to cost $400 million. While specific uses and square footages are still being determined, the zoning for Phase 1 allows for up to 850 residential units, 575,000 square feet of office space, 75,000 square feet of retail/restaurants, and a 300-key hotel. ​ On 9/05/18, Urban Creek Partners announced a partnership with REI (the specialty outdoor retailer) to begin hosting classes and events, which have already started. REI will offer a variety of outdoor classes, including photography, bicycle basics, mountain biking skills, and cycling tours along the Proctor Creek Greenway. The retailer will also host outdoor events such as live music, full-moon gatherings and more. Four miles south of Quarry Yards is another game-changer called Lee + White, which is being developed by Stream Realty. Dubbed, “The Original Food + Beverage District,” Lee + White is an adaptive re-use project that consists of 426,000 square feet of warehouse space located in the neighborhood of West End. The property backs up to (or fronts) the Westside Trail in an area appropriately referred to as “warehouse row,” which runs from Lee Street to Cascade Road and between Donnelly Avenue and White Street. It is strategically located where the Beltline corridor crosses the MARTA Red / Gold lines. This is about ½ mile north of the Oakland City transit station and ½ mile south of the West End transit station. ​ Lee + White has attracted several food and beverage companies, the largest of which is the Monday Night Garage, which opened in Sept 2017. Other businesses (that are currently open) include ASW Distillery, Doux South Pickles, Golda Kombucha and Honeysuckle Gelato. Committed but not yet open are Banyan Roots Brewing, Hop City and Wild Heaven Brewing. ​ Lee + White is significant in that it was the first large-scale project that came about because of the Westside Trail. Located in Subarea 1 of Beltline master planning area, this transformative development will impact the all of Southwest Atlanta but especially the neighborhoods of Adair Park, Capitol View, Oakland City, West End and Westview. Just a few blocks from Lee + White is a 20-acre site known as Murphy Crossing (aka, Murphy Triangle). One of the many interesting things about this yet-to-be-developed project is that the land is owned (controlled) by the Atlanta Beltline, Inc. This means that ABI can decide what gets developed, when it gets developed and who gets to develop it. ​ The size of this site (which continues to grow through acquisition) and its strategic location make it a game-changer for Southwest Atlanta. The site is adjacent to the Westside Trail between Allene Avenue and Murphy Avenue in Adair Park, where it crosses the MARTA Red / Gold lines. Murphy Crossing is about ½ mile north of the Oakland City transit station and ½ mile south of the West End transit station. ​ In 2010, the Urban Land Institute conducted a study that considered several uses for Murphy Crossing. Interestingly, ABI has been soliciting proposals to identify potential development partners for several years. At their Q3/2018 Update Meeting, Beltline officials shared that they would be issuing a new RFP soon. 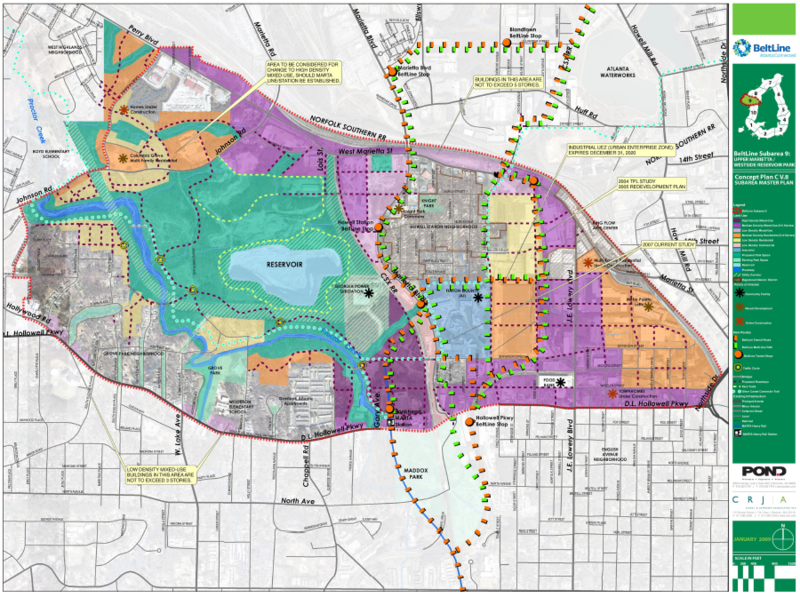 Located in Subarea 2 of Beltline master planning area, Murphy Crossing will impact the all of Southwest Atlanta but especially the neighborhoods of Adair Park, Capitol View, Oakland City, Pittsburgh and West End. ​About ½ mile north of Murphy Crossing (straight up Murphy Ave) is a massive project that has the potential to become one of the most transformative developments in all of Atlanta. 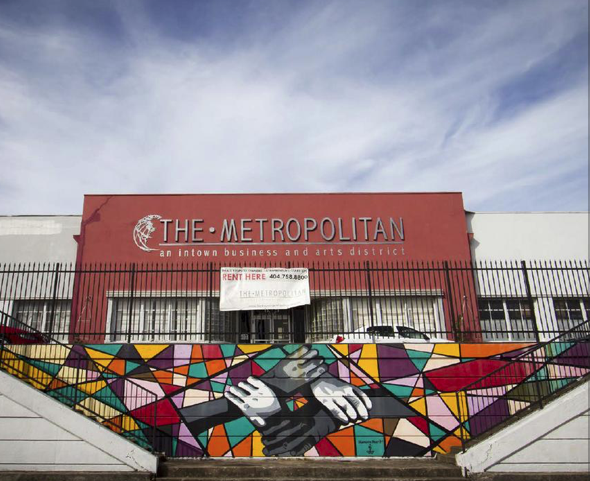 The Metropolitan is a 40-acre site that was recently purchased by Carter & Associates for $50 million. It currently houses offices, warehouse space and residential lofts for artists and creative companies. According to the Atlanta Business Chronicle, Carter plans to invest $80 million to convert the existing property to creative office space and residential units. They might also build a one-mile spur trail that would allow people to walk from the project to the Westside Trail. The significance of this development lies in its size and strategic location. 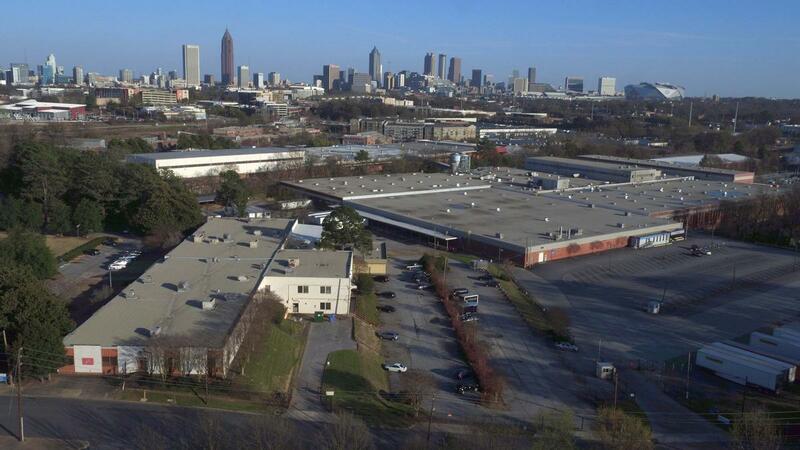 The sprawling site (one-million square feet of warehouses) is located in the north end of Adair Park, directly across from the West End MARTA station, making it one of the largest transit-oriented developments in Atlanta. It is bordered by Glenn Street to the north, Northside Drive to the east, Shelton Avenue to the south and Murphy Avenue to the west. ​ The Metropolitan is located in Subarea 1 of the Beltline master planning area. While this transformative development will impact all of west Atlanta, the neighborhoods of Adair Park, Ashview Heights, Atlanta University Center, Castleberry Hill, Mechanicsville, Pittsburgh, and West End stand benefit the most from this development. This site is also historically important in that it was originally developed by Coca-Cola founder, Asa Candler, as a cotton warehouse. 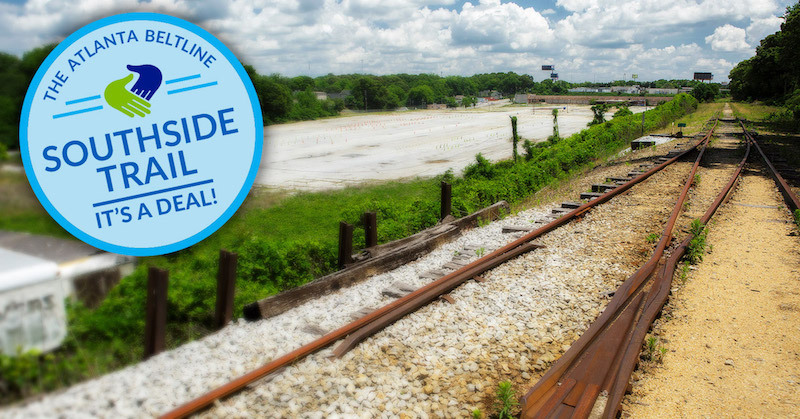 In March 2018, the Atlanta Beltline, Inc. purchased the Southside Trail from CSX Transportation for $25.8 million. According to Beltline officials, CSX has six months to remove their tracks from the old rail corridor, which encompasses some 63 acres of land. They also said that they expect to open an interim hiking trail in this section of Beltline corridor in the first quarter of 2019. This is significant in that the new trail will enable (potentially) hundreds of thousands of people to explore these neighborhoods for the first time. The Southside Trail runs through Subareas 2, 3 and 4 of the Beltline master planning area. The main neighborhoods (from east to west) are Glenwood Park, Grant Park, Ormewood Park, Chosewood Park, Boulevard Heights, South Atlanta, Pittburgh, Capital View Manor and Adair Park. The Southside Trail runs from Glenwood Avenue in Glenwood Park to University Avenue in Adair Park. In late Sept 2018, ABI announced that it applied for (and is optimistic about receiving) a $16 million federal grant that could jump start construction of the Southside Trail. ABI applied for the grant through the U.S. Department of Transportation’s new $1.5 billion BUILD program (formerly the TIGER grant). The total build-out cost for the Southside Trail is estimated to be $70 million. The design phase for the Southside Trail began in 2017 and is expected to be complete by the end of 2018. ​ On 10/04/18, the MARTA Board of Directors will be voting on the final list of projects that will be included in the More MARTA project. Recent media reports indicate that the Southside Trail may see light rail transit (LRT) sooner than originally proposed under the More MARTA plan. This will have a material impact on the neighborhoods along the Southside Trail. On the southeast corner of Memorial Drive and Bill Kennedy Way is another game-changer called, Madison Yards. Named in honor of Madison Reynolds, the businessman after whom Reynoldstown was named, this 17-acre ($250 million) development by Fuqua Developmentwill transform this area in a material way. Madison Yards will feature 550 apartments and townhomes, 80,000 square feet of office space, and 160,000 square feet of retail space. 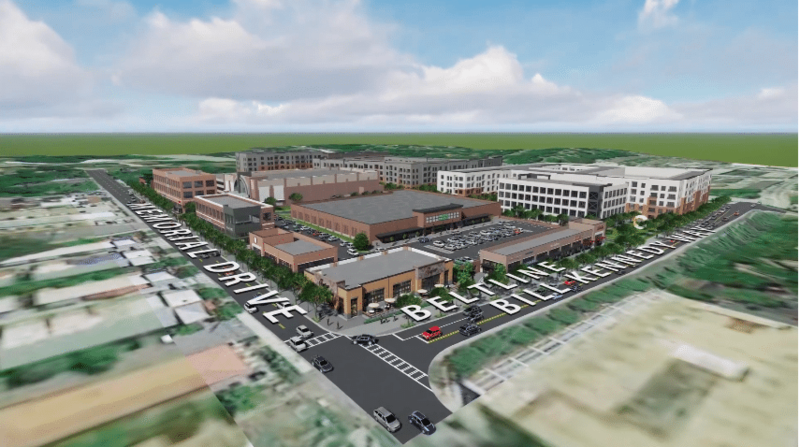 A Publix supermarket and an AMC movie theatre have also been confirmed for the project. The site was formerly occupied by Leggett & Platt. This transformative development will impact a large area but especially the neighborhoods of Cabbagetown, East Atlanta, Edgewood, Glenwood Park, Grant Park and Reynoldstown. The site is strategically located in the heart of Subarea 4, where the Eastside Trail transitions to the Southside Trail. That transition happens along Bill Kennedy Way (BKW), which runs from Memorial Drive (where the Eastside Trail ends) to Glenwood Avenue (where the Southside Trail begins). BKW, which was constructed in and now occupies the Beltline corridor is about ½ mile long. It also crosses I-20 smack in the middle of that ½ mile stretch of highway. When it comes to completing the Beltline in this section of the corridor, ABI officials have to decide how and where to put the multi-use trail and light rail transit. In 2016, ABI conducted a series of study group meetings to address these design considerations. My understanding is that the multi-use trail will run along on the east side of BKW (likely requiring a new bridge to be constructed across I-20) while the light rail transit will run in middle of BKW (i.e., in-street). ​ If this ends up being the final alignment, trail users will have to cross the intersection at Bill Kennedy Way and Memorial Drive diagonally (presumably with a pedestrian scramble) like they do at Krog Street and Dekalb Avenue. That will enable them to get from the Eastside Trail (where it ends on Memorial) over to the east side of BKW, where the Madison Yards development is located. It is also my understanding that Fuqua will be installing a path along BKW from Memorial Drive to I-20.